The adventure continues as I work my way through World of Warcraft’s class stories. With three down, demon hunter and paladin are the next ones up. I was not impressed by the demon hunter class story. There’s not a lot I can point to be as being especially crumby about it. It’s there, it exists, and it works, but there’s nothing particularly special or memorable about it. A lot of it boils down to the characters, I think. Being a new class, demon hunters don’t have the luxury of bringing back a lot of well-known faces. Pretty much everyone is new, and a class campaign just isn’t long or in-depth enough to flesh them out. So I just didn’t much care about any of them. Kor’vas is a notable exception, but she didn’t get enough attention. Actually all her best moments are outside the demon hunter campaign, in Azsuna and Harbingers. And again, it’s just a very by the numbers experience. It works, but it has no flavour. The one thing that’s interesting about the demon hunter story is that it actually features a story choice with real consequences. This has never happened in World of Warcraft before. Even if you do get choices, they never have consequences. Not until now. I doubt we’ll ever see WoW start offering regular story choices like SW:TOR, but it is an intriguing precedent to set. I’m still mixed on how the class plays. Vengeance feels fine, but it doesn’t have a lot of unique character. I’m torn on havoc. It felt very mindless at first, but I’ve had a surprising amount of trouble mastering it, so maybe it’s not really that easy. It is shockingly squishy. I didn’t think Blizzard still did glass cannon specs like this. In theory I like the idea of more challenge in WoW, but there isn’t really any way to overcome Havoc’s squishiness with good play (save pulling less, I suppose). It’s just a lot of slow healing up between fights. The fix for this is to take Demonic as your 110 talent. It makes a huge difference, to the point where it feels mandatory for playing solo (and usually nothing is mandatory solo). In general Demonic makes the spec feel much, much better by making demon form a core feature of the spec rather than a cooldown to be carefully saved. It should be baseline, if you ask me. The other main thing I like about havoc is also a talent, Demonic Appetite. This causes your main finisher to spawn lesser soul fragments, and all soul fragments to give you a sizable amount of fury. The end result is you spend the fight watching the battlefield and trying to gobble up fragments as they spawn, while also monitoring your positioning so you don’t leave melee range. It forces you to focus on the game world, not just your action bars, and think about your positioning in a way no other class does. It’s a very unique and interesting playstyle. Again, it should be baseline. Overall, I suppose the spec is growing on me. Finding a good outfit helped, too. I’m getting used to the character. 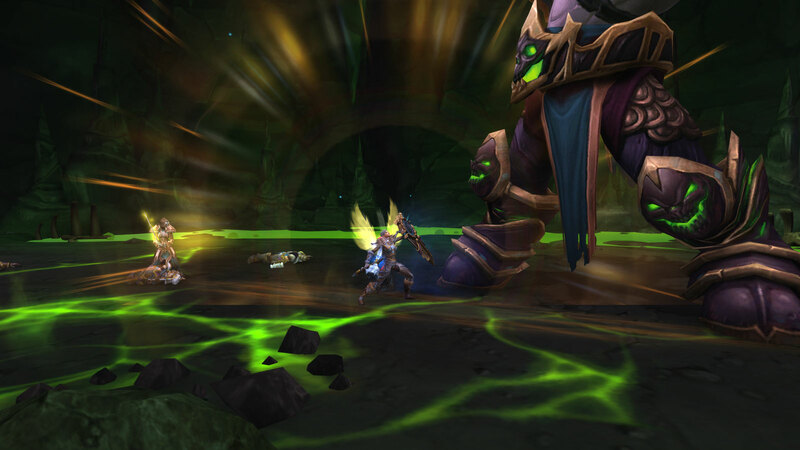 I liked the paladin class story a lot better than the demon hunter’s, but it’s still not perfect. It captures the feeling of the class well. There’s a lot of big speeches, protecting the innocent, and smiting the wicked. Blizzard has always had a real passion for paladins as a concept — Metzen mained a human paladin, as I recall — and it shows. I also liked the characters. The cast even includes that rarest of unicorns, a Draenei who feels like a real person. And it needs to be said that the artifact quests are outstanding. I have several classes left to go, but I have a very hard time believing any will top paladins on the artifact front. Every single one is amazing. 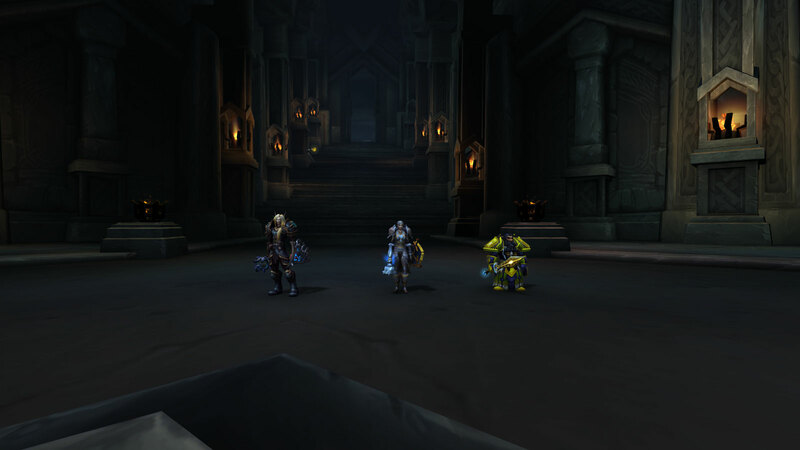 You should roll a paladin just to do their artifact quests — I’m not kidding. But as with many of these, it starts to fall apart at the ending. It’s not even a bad ending. It’s a very fun and epic ending, more so than any of the class stories I’ve yet played. But it’s the ending to the priest story, not the paladin story. Now, I haven’t done the priest campaign yet, but I have to assume they get roughly the same ending and this is just a case of reused content (if not, it’s even weirder). And it does make perfect sense for the priest and paladin stories to be intertwined. Defending priests is kind of why paladins exist in the first place, after all. And again, it’s an enjoyable ending. But I can’t help but feel I was robbed of a real paladin story. Also, what in the actual hell is the deal with the glowing Dreadlord? Like, what? Just… what? That demands an explanation, but none is given. So it’s another story that’s decent on the whole, but could be better. 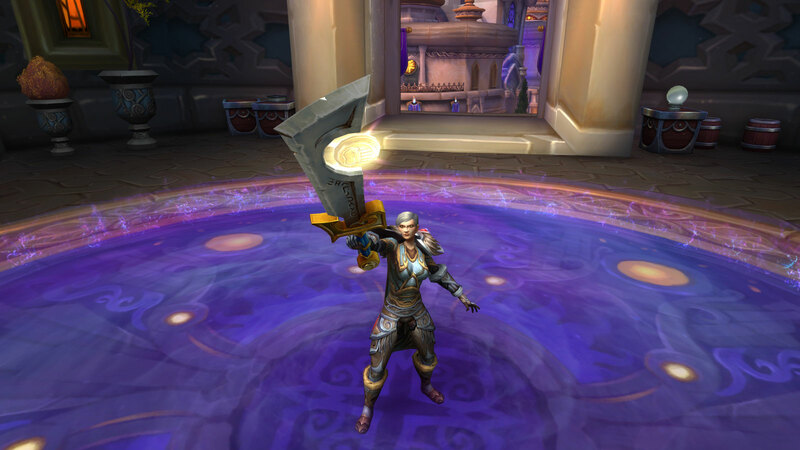 What’s really surprised me is how much fun I’m having playing a protection paladin in Legion. Historically, my paladin has been a healer first, and I thought I’d switch to retribution as a main spec in Legion because of Ashbringer, but I’ve ended up playing prot far more than anything else. I’ve played protection off and on for as long as I’ve had the paladin, but it never quite clicked, and I thought the loss of holy power as a secondary resource would make matters worse (it’s certainly killed holy for me). But I’m having a blast. I think it’s some combination of the changes made by active mitigation and the talent that lets Hammer of the Righteous have no cooldown. The rotation just flows now. Aside from that, no other spec I’ve played this expansion feels so much like the archetypical tank. I don’t think I’ve died once while playing prot in Legion, be it in a dungeon or the open world. You’re just indestructible. It doesn’t matter if your damage is a little low while questing because you can just pull half the zone and wear them all down at once. It’s actually better to do that because you get more procs of Avenger’s Shield, which is your main source of damage. On top of that, you also bring some pretty nice off-healing in a group setting. The other day I had a DPS who kept standing in the fire, and the healer was occupied with keeping everyone else alive, but I was able to keep them up until the end of the fight with Lay on Hands and Hand of the Protector. 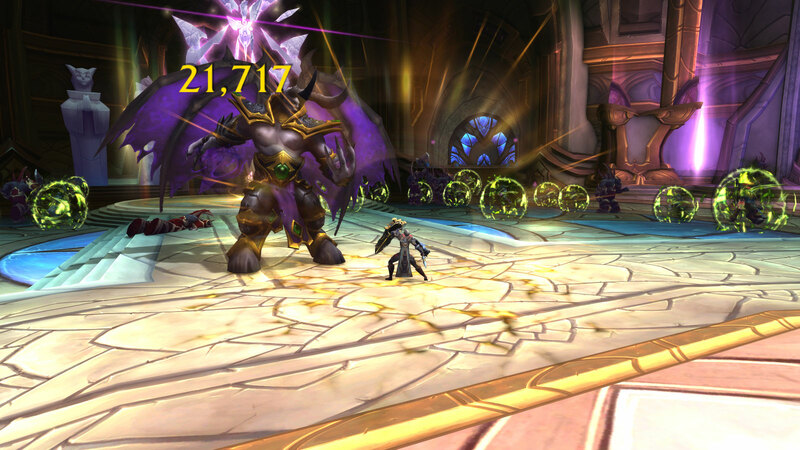 Prot still has crap mobility, which I’m not fond of, but the abundance of ranged attacks helps compensate for that. And otherwise it plays wonderfully. Blizzard’s commitment to “class fantasy” in Legion has been hit and miss, but they nailed it for prot pallies. You want to feel like an unshakeable bastion of righteousness? This is your spec. That makes five class stories down now, and I’m feeling a bit mixed on this whole endeavour. Artifact quests remain a delight, but the truth is I’ve yet to be truly impressed by any of the class stories. Most of them have interesting moments, and they’re rarely bad, but none of them have truly blown me away. That makes me wonder if it’s still worth trying to do them all. On the other hand, it’s also turning out to be a lot less work than I expected. Leveling in Legion was pretty quick to begin with, and with the addition of invasions and heirlooms that scale to 110, it’s a breeze. Once you get to max level, it only takes a couple days of light play (at most) to finish a class story. So it’s not exactly costing me much to keep finishing them, either. This is nowhere near the grind I thought it would be, and how often do you get to say that where WoW is concerned? 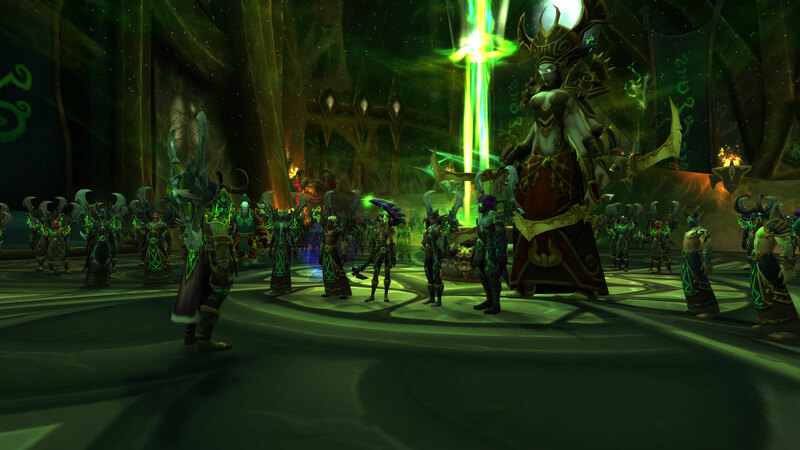 This entry was posted in Games and tagged fantasy, The Mustering of Azeroth, Warcraft, World of Warcraft by Tyler F.M. Edwards. Bookmark the permalink.